From the futuristic bustle of the Malaysian capital Kuala Lumpur and the island-country of Singapore off the southern tip of the Malay Peninsula to the orang-utan encounters of Malaysian Borneo (an island shared with Brunei and Indonesia), these are some of the most diverse, child-friendly and hassle-free countries to visit in all Asia. Singapore and Kuala Lumpur have more than enough to entertain those alighting for a day or two (or more) on flight-stopovers, while the spectacular Sabah and Sarawak regions of Borneo are wonderful places for adventurous family holidays, especially with older kids. Experience Kuala Lumpur, either as a stop in its own right or en route to adventurous family holidays in Malaysian Borneo (see below). Head straight to KLCC (Kuala Lumpur City Centre) to marvel at the record-breaking Petronas Twin Towers (admission to the 41st-storey skybridge is free but a limited number of tickets are issued each day). Then explore the rest of KLCC, the shopping, dining and entertainment hub – hit the shops at Suria KLCC, a huge shopping centre at the foot of the Towers, then run off some steam in Kuala Lumpur City Centre Park with its two-acre playground and spectacular dancing water fountains at Lake Symphony. Kids also love the hands-on science exhibits at the Petrosains Discovery Centre and meeting the underwater creatures at KL Aquaria. Leaving KLCC behind, head to Kuala Lumpur’s Central Market for traditional Malaysian crafts or to the Bukit Nanas Forest Recreational Park for interesting nature trails and a bird’s-eye view of the city from the KL Tower Observation Deck. At the edge of the centre city, the 92-hectare Lake Gardens is a hub for family-friendly activities: visit the National Planetarium or explore the many animal attractions including the Kuala Lumpur Deer Park, Butterfly Park and Bird Park, the world’s largest free-flight walk-in aviary. Enjoy an interesting day-trip from Kuala Lumpur – to the sacred Batu Caves, 7km from the city centre, or for aquatic fun Sunway Lagoon or Desa Waterpark, both a 15-minute drive away. 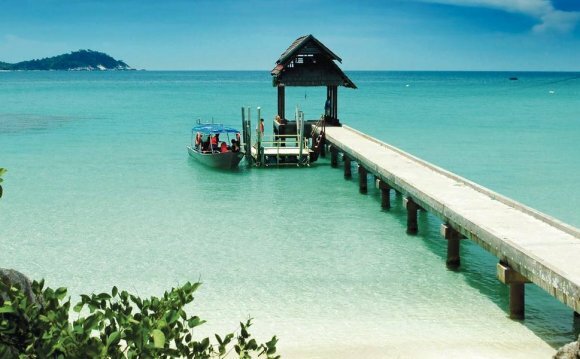 See mainland Malaysia in more depth on an adventure trip, starting with the highlights of Kuala Lumpur before taking in the Cameron Highlands, the ancient rainforest in the Taman Negara National Park and the turtle-breeding station and ancient temples of Penang. The Sabah region also offers the chance to see Borneo’s most famous inhabitants at the Sepilok Orangutan Reserve. And don’t leave the region without cruising along the Kinabatangan, Borneo’s longest river, or snorkelling in the clear waters of the Tunku Abdul Rahman National Park. Families of experienced hikers also climb Mt Kinabalu, the highest mountain in South-east Asia. Head to Singapore, another fantastic destination for families and a perfect stop en route to Malaysian Borneo or destinations in Australasia. The big-hitter here is Sentosa Island, accessed by cable-car from the top of Mt Faber and offering several family attractions, chief among them the new-in-2010 Universal Studios movie theme-park, which includes the Shrek-themed Land of Far Far Away and the Madagascar-themed tropical jungle. You can also climb to the top of the famous Merlion for a 360° view of the island, swim with pink dolphins in the lagoon at the Underwater World oceanarium, ride the zipline at Megazip Adventure Park and the Sentosa Luge, and inspect creepy crawlies at the Butterfly & Insect Kingdom. Be a bit more laidback in the centre of Singapore: start with a boat-ride on the river, or soak up the atmosphere in the Arab Quarter and Little India, stopping at the Sakaya Muni Buddha Gaya Temple to see the 15m Buddha adorned with 1, 000 lights. Then head north to the Jacob Ballas Children’s Garden within the Singapore Botanic Gardens and to Singapore Zoo and the separate Singapore Night Safari. Sungei Buloh Wetland Reserve and the Bukit Timah Nature Reserve in the north also entertain little wildlife-lovers. Southern and western Singapore also have lots of family-friendly attractions. Explore Chinatown then investigate the interactive exhibits at the Singapore Science Centre, throw a snowball at Snow City or see the 600 tropical species at the Jurong Bird Park. The 13-acre Chinese Gardens at Jurong Lake are another oasis of calm, while the interactive exhibits at the Singapore Discovery Centre bring the story of Singapore to life – and kids love its giant Iwerks cinema. Malaysian cuisine mixes Malay, Indian, Chinese, Eurasian and indigenous foods. Dishes are often very spicy, though this is frequently toned down by the addition of coconut milk, rice and noodles and spices such as tamarind and belacan. For those concerned about family holidays with younger and/or very fussy kids, Western options are readily available, especially in hotel restaurants and major attractions. Some of the best food on offer is the street food, but do check first that it’s properly cooked. Typical dishes include beef or chicken satay, glutinous rice, often served rolled up in banana leaves and eaten with your hands (great fun for kids), and sambal, a hot sauce made out of (very old) shrimps and used in beef, chicken and seafood dishes. All should find m4ufree movies right here.